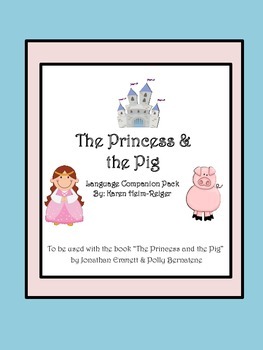 This is a companion pack with three language activities to be used with the book “The Princess and the Pig” by Jonathan Emmett & Polly Bernatene. The book is not included in the pack. 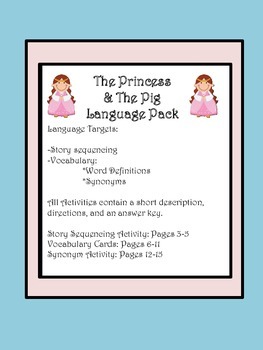 The language activities in this pack are for targeting story sequencing and vocabulary (i.e., word definitions and synonyms). 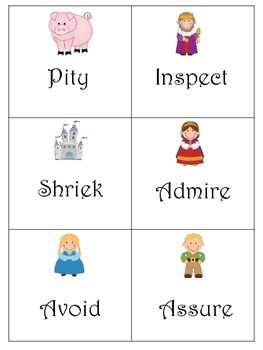 The story sequencing activity also provides exposure to narrative retell/summarizing. 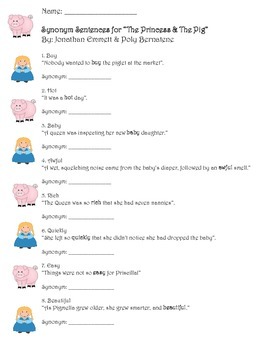 All activities contain a description, directions, and an answer key.